Everything has changed! In 2011, 370,000 Portuguese has ‘landed’ in Brazil and thousands of Spaniards have ‘invaded’ Argentina. With so many hopes and their workforce. 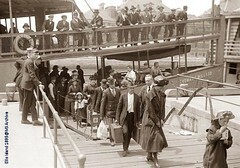 The eighteenth century’s scenarios in black and white of Ellis Island and the migration to South America after the IIWW are unexpectedly reproduced. 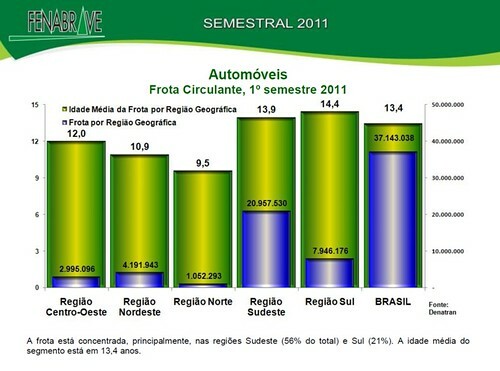 Brazil, land of promise for the automotive (not only). Almost 2,800,000 new cars sold at the end of October. With an apparent slow down of the sales due to a couple of days of vacations and a strike that caused the loss of 20.000 registrations in the last day of the month and… some rumors. Walking through the hexibit of the XXI Congresso Fenabrave in São Paulo, you feel an atmosphere with a mixture of enthusiasm, planning, pragmatism for this apparently unstoppable growth. No one speaks about crisis, but… only of opportunities! And this is what sums up the worldwide President of PSA – Philippe Varin – in his speech. The goal is simple for dealers and carmakers: “let’s accellerate”! Words no longer heard since long time in Europe or US! Famous people and global managers – that we were accustomed to hear speaking during Europeans conventions or in North American autoshows – now are involved in this growing convention of the 4th world cars market: Philippe Varin, Jaime Ardila, Grace D. Lieblein (President of GM Brazil, according to Times Magazine, she’s one of the most influential women of the world in 2011), Stephen Wade (President of the 18,000 dealers NADA) spoke to the dealers in this market of 16.000 cars per day. Fenabrave is a strong association capable of aggregating all companies in the automotive sector, from cars to trucks, from motorcycles to agricultural tractors and LCVs. The focus is on facts-and-figures. This is no time for blah-blah! And no one has time for… useless tasks or empty words! Which future for the EVs? While GM in the U.S. is grappling with the Federal investigation of the prestigious NHTSA , and the negative tam-tam media coverage caused by the serious problem of the Chevrolet Volt battery – mounted also on Opel Ampera in Europe – Jaime Ardila answers to direct questions in a completely transparent. The President of GM Brazil and Mercosur, CFO in South America, Africa and Middle East (the first non-American in the Detroit’s Board) explains that – in his opinion – there will be no business opportunities for EVs in the next 5 years. So far, the sales developed – well below estimates – were made possible only thanks to Government subsidies and bonus. But that is not enough! The U.S. $ 7.500 paid by the State of California, and the ‘scarce’ 5,003 Volt’s US sales prove it. At these critic times, Governments should commit themselves with the funding of other projects, and not in the sale of an electric car for some multinational companies. Holy words! EVs will be useful to promote the image and the technology of the carmakers brands involved in these projects, but numbers and expectations should to be scaled down. Beside this the data presented in this regard by Jato International are very clear! No less clear in respect of the EVs is the opinion of Philippe Varin: The PSA group – which has two excellent EVs products (Ion and C-Zero) – has invested and continues to invest in ‘clean’ internal combustion engines and first in the world launched the hybrid-diesel. Partners with Ford – in the dept. of diesel engines – and with BMW – in the dept. of gasoline engines – PSA certainly will reach in short times goals of excellence in terms of performance and emissions with new the engines now to the planning. 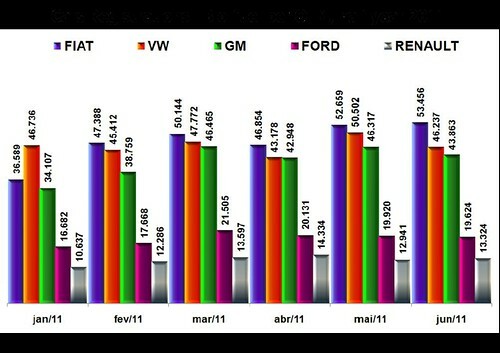 Impact on sales of EVs? In 2020 the total market share of hybrids will be 10% and 5% the one of the EVs. Also Mr. Rupert Stadler – Audi’s MD – had dared to scale the numbers of EVs in the next 10 years. New formulas for purchase? The total cost of ownership (TCO) is the new approach of customers to which manufacturers and dealers must adapt and structure asap. With financial products and new ideas. Peugeot has launched – in France – the ‘MU Project’, a revolutionary new system of mobility: Mr. Varin called it the ‘roaming mobility’. How does it works? The dealer in the showroom does not sell more cars, but provides to customers ‘mobility instruments’ as bikes, scooters, motorcycles and cars, or accessories for leisure (skis, snowboards, canoes, roof rack systems) that can be rented at very affordable prices. Helping reconnect young people to the world of cars from which – worldwide – they are disaffected. Which scenarios in the automotive world? Which dealer’s margins? Europe is losing and will lose more weight for large manufacturers who are disinvesting in favor of the Asian countries and China. Also PSA is deconstructing in the Old-Continent, and in France reduced the workforce and investment in favor of more lucrative markets… Asia, South and CIVETS. In Brazil – the 4th world market, and the 5th largest producer of cars – all the big manufacturers now have been structured and owns modern plants and NSC. Counteroffensive of the… Chinese! All them are waiting for the new offensive of increasingly aggressive Chinese carmakers who had landed on the American continent with 12 brands contributing to the fast growth of more than 2.000 new dealers in Brazil – in the last 5 years – car dealers had increased from 5.000 to over 7.000. It’s strange to think that in Italy in the last 18 months at least the 30% of the dealers have ‘disappeared’, hundreds with dramatic bankrupcy! But you know, in the business – as in real life – only those that evolves… will survive! All these Premium-Managers assume that – in the world – the car distribution will continue to be based on the contribution of dealers that have the “touch points” between the customer and the OEM during the last month (or the last mile) in the buying process. 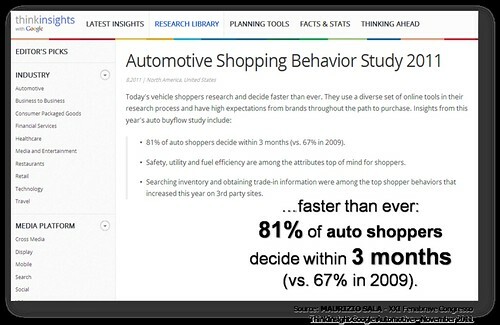 Which is becoming faster and faster: 81% of the prospects they will buy within 3 months from first contact. Which will be the margins of the dealers in the coming years? Smaller and smaller! This is a complex job, which is based and will increasingly be based on volumes. GM and PSA declared that they want to engage in the protection of their dealer network. 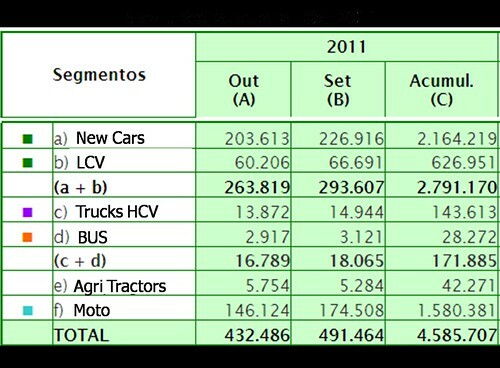 Some OEM decided to develop policies aimed on volumes, others pointed out the right revenues for the dealers, and the fact that PSA – in the ‘sparkling’ Brazilian market – over the past 3 years has changed 5 times ‘coach’ (now the President is the competent and well experienced Carlos Gomes), in the uncertainty of a definitive choice between sales volumes Vs sales compensation… it is the practical demonstration of the situation existing in this unique market! 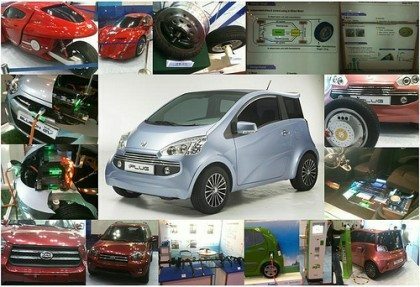 Targeted social projects that will further impact on the sales of new cars. Which social costs (health costs, security, emergency road, blocking traffic, pollution) are attributable to a fleet of over 37 million vehicles whose average age exceeds 14 years and of which it is estimated that 30% is not in condition to move? The Brazilian Federal Government is launching a rigorous program of inspections of vehicles with actions for the disposal/scrappage of vehicles at risk. Targeted investments will be implemented simultaneously with the disassembly of scrap, the recycling of raw materials and can still be used for disposal of polluting materials. A good business for OEM, dealers and operators that will be organized in time: more than 12 million vehicles to be removed from the streets… mandatory by law! 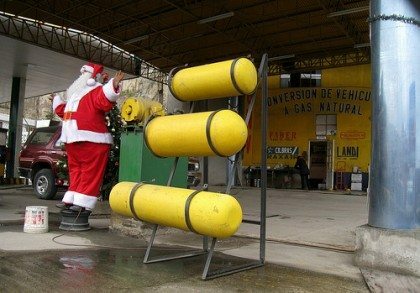 In the meantime, what happens at the 1st manufacturer in Brazil? While at the Bologna MotorShow Fiat is launching with the sound of trumpets and drumbeats the “new Punto twin-air” – with its new frigates, the grille renewed and bright colors – which is ready to attack the competitors in the Old-Continent markets – emerged that on the Brazilian streets it is already circulating since a couple of years, with some success in sales, (and the unimaginative name of ‘Novo Uno’) the car that we will be the global European new Fiat: the nuova Panda. For sale by next 2012 spring! Disinvestments? Focus to more profitable markets? If the car that will compete in Europe for the prize “Car of the Year 2012” is already on the market since 2 years in Brazil… it means that really something has changed! And even if PSA launches Air-Cross before in Brazil than in France, is a further confirmation that the scenarios of Ellis Island will be reproduced… like in a nightmare! 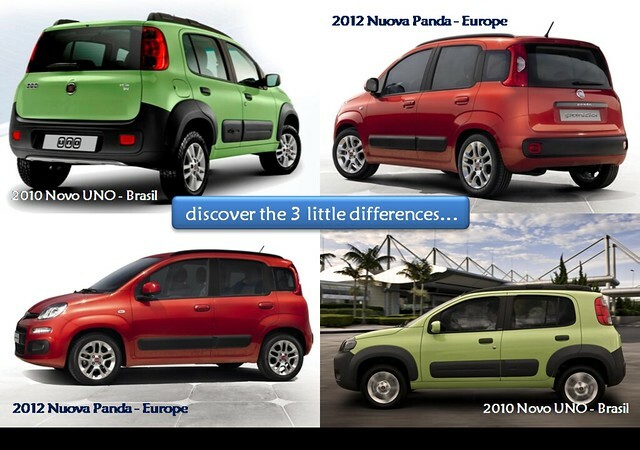 Play with us and discover the 3 little differences between the “2010 Novo Uno” and the “2012 New Panda”… if you’re still in a good mood! Today – December 14th 2011 – in Pomigliano, Naples, the “New Fiat Panda” was presented to the world press. “This is a totally innovative and non seen design; the car launched today will definitely restart the success of Fiat in Italy and in the world”, announced Olivier Francois. No one of the journalists asked to the Fiat representatives if this was the same car already on the market since 2 years in Brazil. 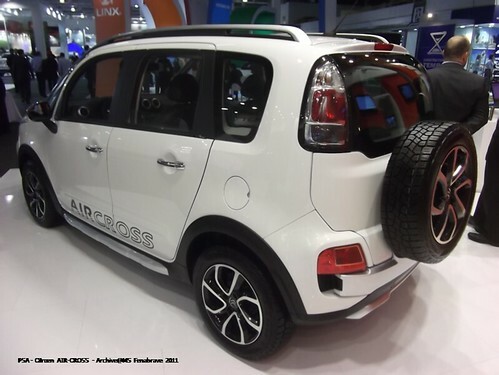 The best catchphrase to sell these cars is not focused on the low fuel consumption, or on innovative design, or on the complete equipment: it is the “Panda 100×100”! 100 Euro per 100 months. An unmentionable financing was finally launched! It will last through 9 years… the car will do the same?